← The Boeing Decision — Sub-National and Defense Measures Violate Global Trade Rules. New WTO Case on China Export Restrictions (Rare Earth Minerals), New Legislation and ITA Action — WTO and Trade Focus of U.S. on China. The U.S. along with Japan and the EU filed disputes against China concerning China’s export restrictions on various rare earths and other minerals. This case follows a recent AB decision in January 2012 against China’s export restrictions on nine raw minerals. The Obama administration argues that is has brought twice as many trade cases against China than the Bush administration. This new case clearly indicates a continuing and more aggressive trade policy by the U.S. against China that makes the WTO / DSU a central forum in U.S. – China trade relations. I’ve just completed a revised chart of China trade litigation in the WTO (2001 – 2012) and new ones on Obama and Bush litigation against China in the WTO and of the Clinton-Bush-Obama WTO filings generally. Malawer, Chart — China WTO Trade Litigation (March 16, 2012) and Malawer, “Three Charts — Obama & Bush China WTO Litigation and Total WTO Filings by U.S.” (March 2012). The above indicates that the Obama administration brought 6 cases against China in almost four years while the Bush administration brought 7 in eight years. But what is most astonishing is that the Obama administration brought a total of only eight cases in the WTO while the Bush administration brought a total of 33 cases. Thus, a much more directed focus on China by the Obama administration. It is interesting to note that the filing of new WTO disputes by all countries for last year (2011) were at its lowest (8). “New WTO Disputes.” (WTO 2012). 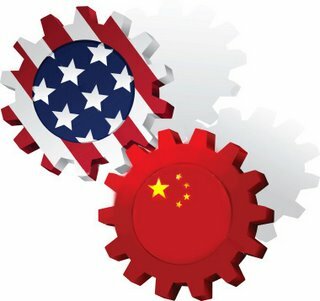 “U.S., Japan and EU File Disputes Against China.” WTO News (March 13, 2012). “U.S. Challenges Restraints on Rare Earths.” USTR News (March 13, 2012). “Video — Obama Announces WTO Case Over Rare Earths.” CNN (March 13, 2012) (Obama video and CNN report on rare earth case). This entry was posted in Global Trade Relations and tagged China-U.S. in WTO, EU, Export Restrictions, Japan, Rare Earths, U.S. - China trade disputes. Bookmark the permalink.